Two Dollar Radio, 9781937512477, 318pp. "Deeply satisfying. Finn is a remarkably confident and supple storyteller. The Gloaming] deserves major attention." "In this richly textured, intricately plotted novel, Finn] assures us that heartbreak has the same shape everywhere. The Gloaming is chillingly cinematic in contrasting East Africa's exquisite landscape with the region's human needs. Yet even in a malevolent setting, Finn shows us acts of selflessness and redemption. Her fascination with the duality of Africa -- "the most honest place on earth" -- shines fiercely." "I rarely get as invested in the outcome of a novel as I did reading The Gloaming, but the empathies that Finn evokes in this powerful and unpredictable book are not casual; these traumas could be our own. Finn's] prose is hypnotic and knife-precise and at times so beautiful it's unnerving. I didn't read this book so much as I experienced it and it will haunt me for a very, very long time." Mysteriously, the remains of an albino appear, spooking everyone--sign of a curse placed by a witch doctor--though its intended recipient is uncertain. Pilgrim volunteers to rid the town of the box and its contents, though wherever she goes, she can't shake the feeling that she's being followed. Melanie Finn was born and raised in Kenya until age eleven, when she moved with her family to Connecticut. She is the author of the novel Away From You and wrote DisneyNature's beautiful, haunting flamingo epic The Crimson Wing, which was directed by her husband, filmmaker Matt Aeberhard. During the filming, Melanie established The Natron Healthcare Project, and now lives in Vermont with Matt and their twin daughters. Melanie Finn was born and raised in Kenya until age 11, when she moved with her family to Connecticut. After studying journalism at NYU, she worked as a freelance journalist and screenwriter for twenty years, living and working in six different countries. In 2004, her first novel, Away From You was published to international acclaim. The following year, she and her husband, the wildlife filmmaker Matt Aeberhard, moved to a remote region of Tanzania to make DisneyNature's beautiful, haunting flamingo epic, The Crimson Wing. During the filming, Melanie became the medic to the local Masai community and established The Natron Healthcare Project. 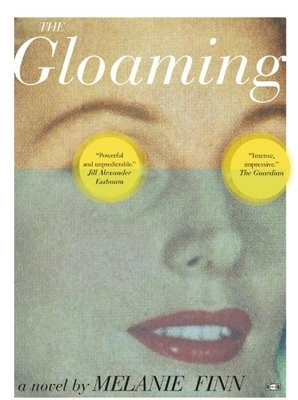 Her second novel, The Gloaming, was a New York Times Notable Book of 2016, finalist for the Vermont Book Award and The Guardian's "Not the Booker" Prize. In 2018 her novel The Underneath was released to great acclaim. She now lives on a hill in Vermont with Matt, their twin daughters, three Tanzanian mutts and two very old horses.